Kurt Danziger is an academic whose innovative contributions to the history of psychology have received widespread international recognition. 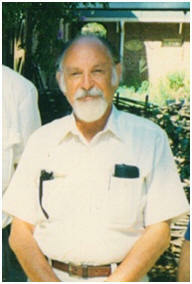 He was Professor of Psychology at York University from 1965 to 1994 and is now Professor Emeritus. In 1972 he was elected a Fellow of the Canadian Psychological Association and in 1989 a Fellow of the Royal Society of Canada. He received the CPA Education and Training Award in 1994, having taken a leading role in establishing the History and Theory Option of the Psychology Graduate Programme at York University and having supervised many of the students who took this option during the first 15 years of its existence. Since the late 1970’s, Danziger’s teaching and research have been largely devoted to the history and theory of psychology. His initial concentration was on the history of psychological methodology. The results of his work in this area were presented in his book, Constructing the Subject: Historical Origins of Psychological Research, published by Cambridge University Press in 1990. The review that appeared in Contemporary Psychology in July 1992 judged that "without a doubt this is the most important book on the history of psychology to come along in years....the understanding and the very teaching of the history of our discipline will have been profoundly altered by Danziger's analysis". The historical interest in research practice was based on many years' experience of empirical research in different areas of Psychology. Danziger’s earliest research publications reported on his experimental work with laboratory rats, but, under the influence of the work of the ethologist, N. Tinbergen, he became sceptical of the value of much of this work. There followed a period of research on conceptual development in the Piagetian tradition as well as experimental work on time judgement. A lasting engagement with social psychological topics was reflected in numerous research papers, as well as the books Socialization (1971) and Interpersonal Communication (1976). More recently, the history of psychological categories has formed the main focus of Danziger’s studies. The first major product of this work appeared as a Sage publication in 1997, titled Naming the Mind: How Psychology Found its Language. A further book, Marking the Mind: A History of Memory, was published in 2008. In 2004 a group of authors from a number of countries contributed to a volume on Danziger’s work: Rediscovering the History of Psychology: Essays Inspired by the Work of Kurt Danziger (Springer). That volume also contains a list of Danziger’s publications. Kurt Danziger’s work has always been international in scope. His books have been translated into Danish, German, Italian, Japanese, Spanish, and Swedish. He has given numerous invited addresses in Britain, Germany, the Netherlands, the USA, as well as in Canada. He was a guest professor at the University of Konstanz, Germany, in 1988. He is or was on the editorial board of such journals as Theory & Psychology, History of the Human Sciences, Culture & Psychology, and Philosophy of the Social Sciences. Although the bulk of his research output has appeared in the psychological literature, he has also published studies in sociological, historical, and philosophical journals. A wide range of experience in academic settings all over the globe provides the background for Kurt Danziger's deep appreciation of the importance of social and cultural context for psychological theory and research. He was born in Germany but his family emigrated to South Africa just before World War II. There he completed his schooling and took a degree with distinction in Chemistry. Then he switched to the study of Philosophy and Psychology. He obtained his doctorate in experimental psychology at the University of Oxford in 1952. His first teaching position was at the University of Melbourne, Australia. That was followed by eight years at two South African universities, a period which was interrupted by two years as a Visiting Professor in Indonesia. Before he settled in Canada he was Head of the Department of Psychology at the University of Cape Town, South Africa. Upon his departure in 1965 he was declared a "prohibited person" by the then South African government, a ban that remained in force for a quarter century. Following the transition to democracy, Danziger regularly spent a quarter of each year in South Africa until 2012. He served two five-year terms as Honorary Professor at the University of Cape Town and was awarded an Honorary Doctorate in Social Science by that institution in 2004.